Yep. You read that correctly; that was not a story from one of my home games or my own personal musings during prep. That was a piece of fiction. A story. That’s because I’ve never used aboleths. Ever. None of my friends have used aboleths. And aboleths aren't featured as the primary antagonists in any official, modern adventure, although they are present. Today, we’re going to change that. This week’s incarnation of Musing Over Monsters is about aboleths, creatures of immense power that live in the world’s deepest trenches and coral covered caverns. We’ll start out learning how they first appeared in Dungeons and Dragons, then we’ll uncover their juicy lore bits. Afterward, I’ll relate a few slimy aboleth NPCs, plot hooks, and campaign ideas to you thirsty adventurers and DMs. Aboleths have existed since the beginning; inspired by the works of H.P. Lovecraft these eel-creatures first appeared in the 1E module, Dwellers of the Forbidden City, in which they were one of many monsters that the party could pit against each other. Other beasts included yuan-ti, bullywugs, and bugbears. They were the most powerful things you could recruit. 1E expanded on the aboleth in Dragon magazine, creating multiple subraces like the grand aboleth, the ruler aboleth, and even the noble aboleth. 2E included the aboleth in the Monstrous Compendium Volume II and the Monstrous Manual. 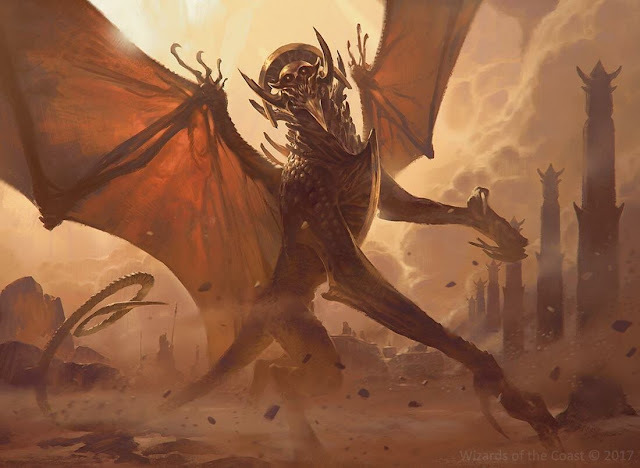 Their psionic abilities are explained in detail in The Complete Psionics Handbook and a new variety appears in the infamous Night Below: An Underdark Campaign, the savant aboleth. 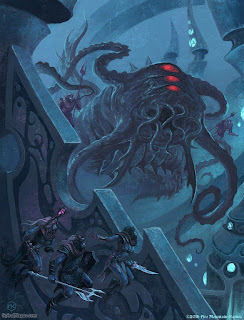 3E doesn’t truly build on the aboleth, but 3.5 does, in which the aboleth receives its own chapter in the wacky and wonderful book, Lords of Madness: The Book of Aberrations. To learn in depth about the aboleth, view some awesome art, and immerse yourself in illithid, beholder, and other aberrational lore, check out this tome of knowledge. In it, the aboleth was given aerial, amphibious, and stygian varieties. 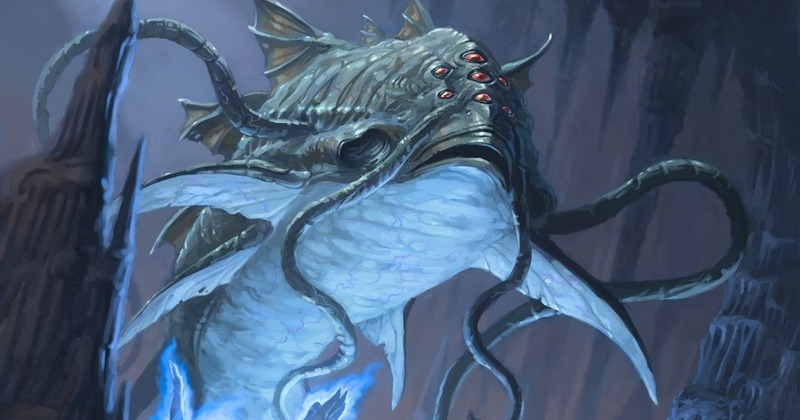 4E included the aboleth in its primary Monster Manual, in which the aboleth lasher, slime mage, servitor, and observer are detailed; all of these are great additions to the aboleth pool. Finally, 5E gave us the current version of the aboleth in the first Monster Manual. 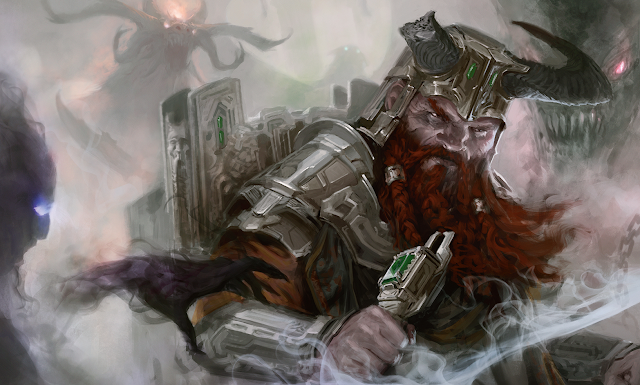 And, in two 5E adventures, aboleths are present - but I won't spoil where. Thus, as the aboleth progresses in age, it gains more and more subtypes and varieties for DMs to use in our campaigns, but it doesn’t happen. Aboleths remain relatively unused. Perhaps their description and lore will change folks’ minds. Aboleths are large, fish-like creatures ranging from 15 to 20 feet long. These creatures never stop growing as they age, a pinnacle few reach: infinity. Some folk would describe them as fat eels with insect appendages, though I’d argue that their body is akin to a worm, segmented, slimy, and thick. Sprouting from their faces are multiple antennae; they also have fins across their body, from their tail to the dorsal on their back. Their most defining feature is their face, which is dotted with three glowing eyes and slithering with a mess of tentacles. They’ll eat anything. Aboleths have strong memories, being able to remember the entirety of its ancestors' memories; in some cases, they can relieve their ancestors’ lives as well, especially in vivid dreams. They also have psionic powers, similar to illithids. In addition, aboleths are able to release a foul, grey fluid that transforms air-breathing creatures into an aquatic thrall. A terrible fate for an adventurer. Aboleths are self-centered. They assert they were one of the first beings in existence and see all other creatures as subservient to them. Due to this, they have no gods, believing their own kind are as powerful as the planar entities that they claim to have witnessed the creation of. Their cities are located deep underwater, in areas of extreme pressure and danger, such as trenches in the ocean or remote areas of the Underdark. 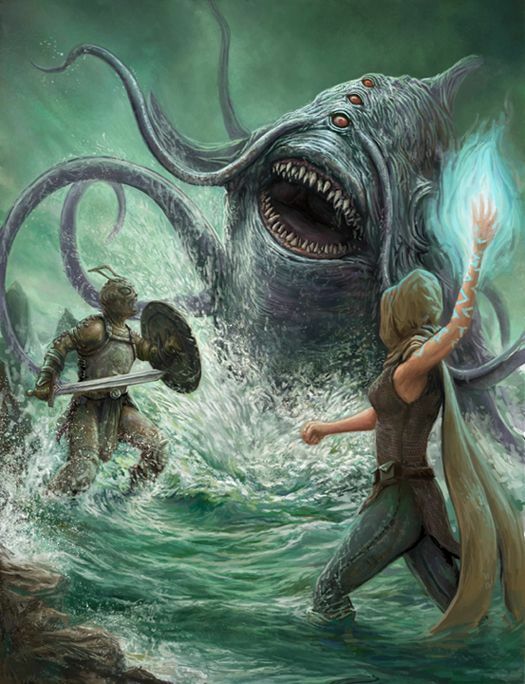 Reaching an aboleth city is an extraordinary feat; surviving inside it is an impossible task. Aboleths are credited with creating the chuul, a race of crab creatures with hardy armor and a will to get things done. In my world, aboleths descended from krakens. Krakens that emigrated from the depths of the ocean to the bowels of the Underdark slowly transformed, shrinking to fit their cramped caverns. They also learned from the beasts surrounding them: illithids and beholders, drow and duergar. Over time, they became less and less like their kraken ancestors and became their own being: the aboleth. Still, some aboleths warrant their existence to krakens and hold them as high as their own folk and deities. Do you desperately want to include an aboleth or an aboleth inspired story beat in your campaign but you can’t think of how to accomplish this? Don’t worry, I have you covered. Ponder over the content below and attempt to drop them into your adventures. I’ll warn you, though: Aboleths are bound to wriggle their madness and tentacles into the hearts and minds of your PCs and NPCs. Use them with care. A relatively young but blind aboleth named Traechnaa-vu. She occupies the wishing well of a coastal town called Westport and seeks to blind as many residents as possible. When she was but a tadpole, adventurers stormed her birther’s lair. Only she escaped; during the combat, though, a scimitar struck true and caused her vision to completely fade. The aboleth learned to thrive in the deep passages of the Underdark, dominating creatures of lesser intelligence. She always remembered her ultimate goal: To avenge the death of her birthers and curse all humanoids with the plight of blindness. A parrot dominated by an aboleth. The aboleth can embody the parrot at times, causing its voice to deepen and body to grow tentacles. A barbarian controlled by an aboleth. Her party was annihilated at the hands of the aboleth and his minions a few days ago, and she is returning to town claiming to be the only survivor. She’s ‘searching’ for more heroes to avenge her fallen friends. Will folks be able to see through her facade? A young aboleth inhabits a town’s wishing well. Those who wander too close or drink from its waters have horrible nightmares and fits at night. Squads of chuul are killing all the wildlife inside a local jungle. They leave strange eggs inside their corpses, leading some to believe they’re attempting to breed. However, they aren’t chuul eggs, but the eggs of a new aboleth abomination. A village of undersea-living triton is dominated by an aboleth. It utilizes the usually friendly fishfolk as assassins in its sahuagin horde. A cabal of aboleths attempts to raise the first kraken from the deepest trenches of the ocean. They need assistance in the form of power and wealth. Their minions, sahuagin, kraken cultists, dominated triton, chuul, and beasts from the Elemental Plane of Water rampage across coastal areas, enact evil plots and prepare for the return of the world’s oldest kraken. 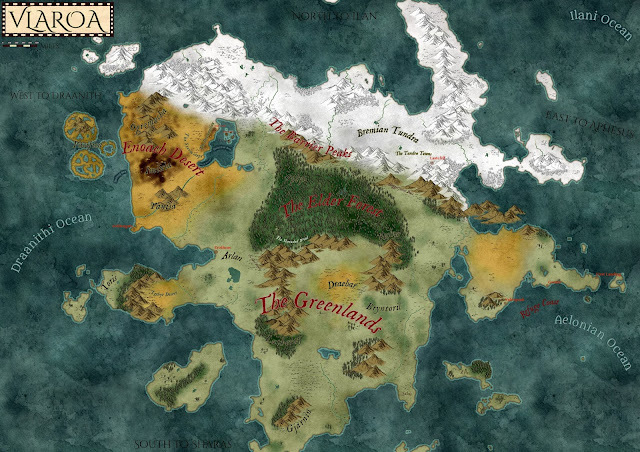 Aboleths have existed since D&D’s first edition and are inspired by the works of H.P. Lovecraft. Aboleths are immense, fish-like beings that wield psionics, can create thralls with ease, and societies in deep sea trenches. The aboleth can be the source of a brilliant villain, whether it's the aboleth itself or a thrall of the being; and it can be a great catalyst for an adventure.